Chaps are useful and protective clothing items for people who work with different types of saws. A lot of people want to design and create custom chaps, but many of them do not know how to measure chaps correctly. So, here’s a quick guide to help you learn how to take every measurement. Why Would You Want to Measure Chaps? Knowing the measurement procedures is a part of your understanding of these chaps. A lot of people who ride horses, who work on farms, and who ride motorcycles use them. For those who work on farms, chaps allow them to keep their jeans and trousers away from mud and dirt as much as it is possible. Those who ride horses and motorcycles find themselves more comfortable and safe thanks to the improvement of the seat’s grips chaps provide. Chaps can prevent wounds and rashes. Some people even find chaps very attractive! Chaps offer some benefits which may attract people into the learning curve the correct way to take the necessary measurements so that they can create their own! To learn how to measure chaps, you must know that there are 15 different measurements you must take from your hip to your ankle to design custom chaps that meet your needs. Taking these measurements is very simple, and you need a few things: a measuring tape, a pen and a notebook where you can write down all the numbers, and a person who can help you. A wooden stool is not mandatory, but can certainly help you in this process. If you think it could help you, you can look for a chaps clothing size chart online. Measuring the hip is the first step in this process. This measure is usually the same one of your jeans size but adding 2 to 4 more inches. If you want to make sure, you can measure it yourself while using your jeans. Just stand up, and measure the circumference of your hip, using a point below your belt as a reference. Do not measure your hip putting the tape over your belt. From the same point you measured your hip – below your belt –, you will now measure down to the floor, or a ½ inch from the bottom of your foot – depending on how long you want your chaps to be. It is mandatory you wear your work boots to take this measurement. You can measure the inseam by measuring from the point of your jeans or trouser ends in the crotch, all the way down to the floor. Make sure you are wearing your boots for this as well. After measuring the inseam, you will measure from the very same crotch to a little bit below the ankle bone (approximately 2 inches from the foot). It is time now the fourth measurement: the length from the crotch to the largest part of the calf muscle. Now, for measuring from the crotch to the knee, you must bend your knees a little bit so it can be easy to find the kneecap. To learn how to measure chaps accurately, you must learn how to take the different measurements of the thigh. The thigh will be divided, therefore, into four measurements: upper, mid/upper, middle, and mid/lower thigh. We recommend you to measure the upper thigh firstly, and then the middle thigh. From that point, it will be easier for you to take the other two measurements. You can always add 1 or 2 inches depending on how tight you want your chaps to be. Measuring the upper thigh is very simple. Just take the tape at the same height you measured the inseam (the part where the fabric ends in the crotch), and take it around your leg. If you want your chap to be loose instead of tight, then you must add a few inches to the original number. To take this measurement, your reference point will be the middle point between your upper and your middle thigh. Measure the circumference in the middle point between your upper thigh and your knee. You will take this measurement in the middle point between your middle thigh and your knee. Why Is Thigh Measurement so Important? Thigh measurement can be considered the most important one in this process of how to size chaps. This happens since the thigh is not an adjustable part of leather chaps. You can take the part of the hip of your chaps, for instance, and see how you can adjust it a little bit. You cannot do that with your thighs. If you lose or gain weight, it will directly affect how comfortable you feel wearing your chaps. If you mismeasure the length of the thigh as well, you will feel your chaps too short while riding a horse or a motorcycle, and therefore, you will feel uncomfortable. Then, thigh measurement must be as accurate as possible so your custom chaps can satisfy your needs of comfort. Bend your knee slightly once again, and measure all around the kneecap without making too much pressure. Most of the time, this measurement is used for people who have problems with their knees, so a tight measurement will lead to making uncomfortable chaps. Feel the calf muscle, and measure its circumference on its widest point. Depending on what you will use your chap for, you might add or subtract a few inches. For instance, it is recommended a tight measurement if it is for riding horses, but that you leave the tape a bit loose if it is a western style shotgun chaps the one you want. For measuring the lower leg, your reference point will be the middle point between your calf muscle and your ankle (or top of foot). The final measurement in our list on how to measure for chaps is the front rise. For doing this, you have to measure from the belt to the crotch (the line we use for measuring the inseam). Some people take this measurement after taking the inseam one. Others prefer to do it at the end. It is up to you to do it whenever you feel comfortable to do so. Please, remember that you must measure from below the belt and not over it. You might be thinking the above discussion is sort of a method to take full body measurements, and it’s somewhat true. Even though taking 15 measurements seems complicated, you can see that it is straightforward: you need just a few materials, and it will take you only a few minutes. Remember how significant it is to make accurate measurements since your comfort while wearing the chaps depends on it. After reading this guide, you are indeed ready to start creating your custom chaps. So do not wait any other second, and start working on them now! 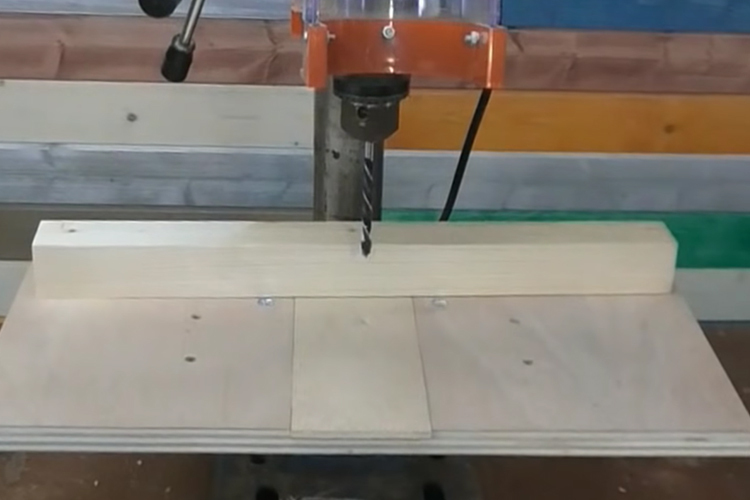 2 How to Operate CNC Machine to Maximize Your DIY Scopes? 10 Why and How Are Drill Presses Measured Before Using for a Job?